Happy Memorial Day! What better way to celebrate my return to the United States than a very American holiday? And what better way to celebrate the holiday than a very....British treat? Yes, I understand that's strange. Awfully strange, in fact. But let's say they remind you how good America really is. I don't mean to say that these cookies are bad. They're not. But they are not anything particularly special either. They are mild and soft and sweet. They taste like almost any cookie, really. Probably the closest thing I could relate them to would be the free cookies they give away at Harris Teeter. You eat them because they're there and not because they are out-of-this-world delicious. 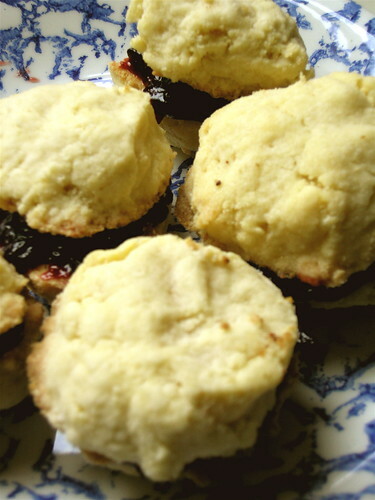 Jammie dodgers are a fixture in British households. You can buy them at every supermarket and corner store, and they are frequently toted along to picnics and parties. In fact, they even pop up on British tv; The Doctor on Doctor Who loves them and considers them to be his favorite snack. Although they are so ubiquitous that making them feels a bit redundant, many people do make their own jammie dodgers. They are quick and easy. You could make them with your eyes closed, and I would be shocked if you didn't already have all of the ingredients on hand. The thing I like best about jammie dodgers is their texture. The large, slightly disconcerting, quantity of butter in these cookies makes them melt in your mouth. 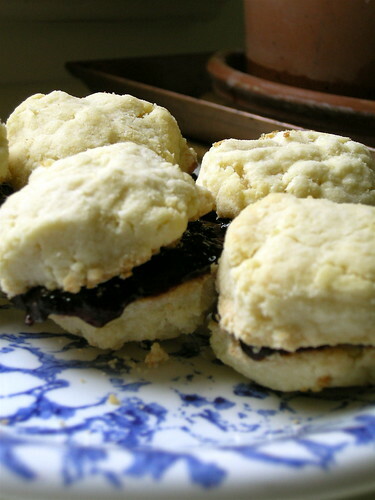 They are doughy and just a little bit crumbly, but the dab of jam in the middle really makes them sing. The originals are made with plum jam, but feel free to use whatever flavor you like. I like the tartness of raspberry jam, and I've even used lemon curd for extra zing. So honor our fallen servicemen by taking a bite out of British culture. Preheat the oven to 350 degrees. Beat the butter until it is light and fluffy. Add the flour, icing sugar and salt. Combine all the ingredients until you have a nice dough. Wrap the dough ball in cling film and chill in the fridge for 1 hour. After chilling, roll out the dough and cut into rounds with a circular-shaped cookie cutter. Place the cookies on a baking tray lined with parchment paper. Bake for 6-8 minutes. Leave to cool. 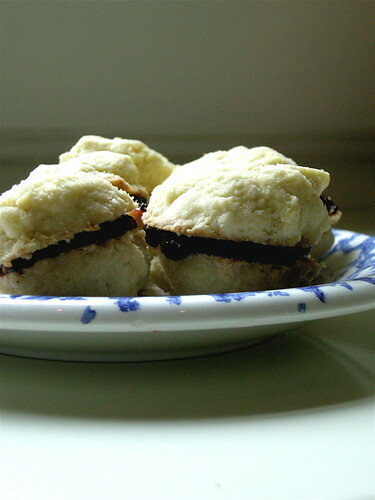 Spread half of the cookies with jam and cover with the other half. Sprinkle cookies with powdered sugar.